Kerry Park is a 1.26-acre (0.51-hectare) park on the south slope of Queen Anne Hill in Seattle, Washington, located at the corner of Second Avenue West and West Highland Drive. 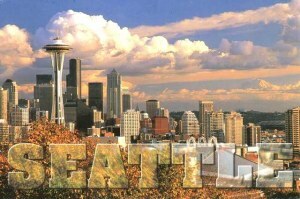 According to a plaque on a wall in the park, "Kerry Park [was] given to the City in 1927 by Mr. and Mrs. Albert Sperry Kerry, Sr., so that all who stop here may enjoy this view." 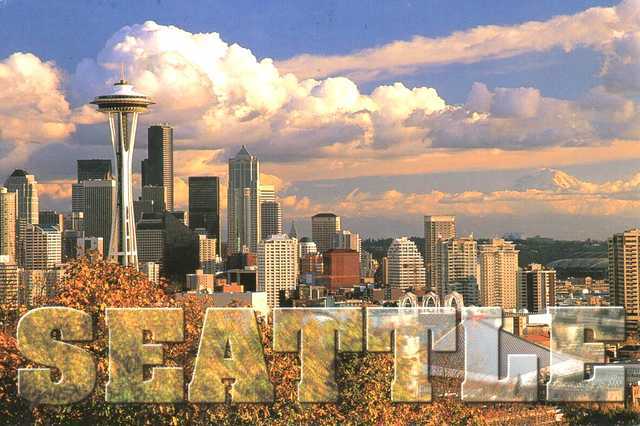 That view encompasses downtown Seattle, Elliott Bay, the West Seattle peninsula, Bainbridge Island, and Mount Rainier. The park is sometimes incorrectly referred to by local denizens as Highland Park, a reference to Highland Drive, a highly scenic boulevard that borders the north side of the park.